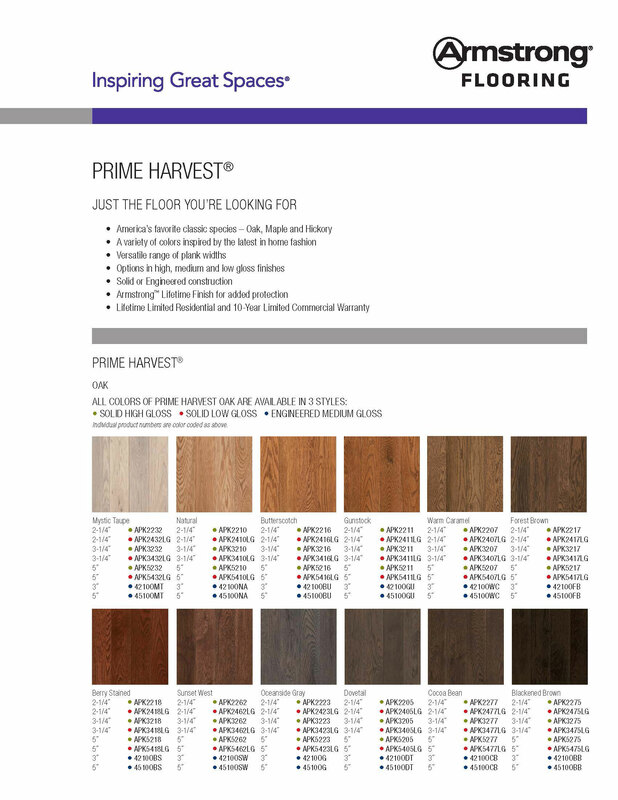 Armstrong Flooringâ€™s PRIME HARVEST collection is just the floor youâ€™re looking for! The new wood flooring collection features Americaâ€™s most-loved hardwood species in elegant colors, and widths designed to complement any decorating style. Each plank is crafted from premium lumber and backed by a lifetime warranty. The PRIME HARVEST collection is currently on special at Fred Callaghan Carpet and Flooring. Stop by our showroom and choose from a stunning selection of colors in this smooth and strong hardwood collection that complements traditional, contemporary, and urban dÃ©cor styles. You canâ€™t go wrong with PRIME HARVETS FLOORS.